Have you got the space for a tree like this? In space no-one can hear you sing carols. 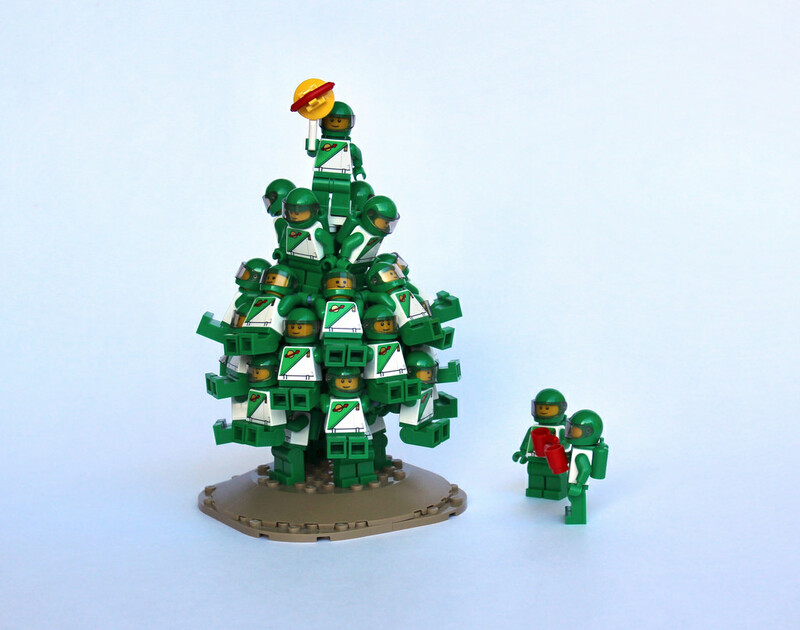 Miro Dudas has created a different kind of LEGO Christmas tree. Instead of any leaves or wood, thirty spaceman minifigures form the familiar shape. They’re apparently pulling off this feat of agility thanks to a network of sand blue sausages each minifigures is clinging to. Speaking of LEGO sausages, a regular red one was also used to form the familiar Classic Space symbol as the tree topper.